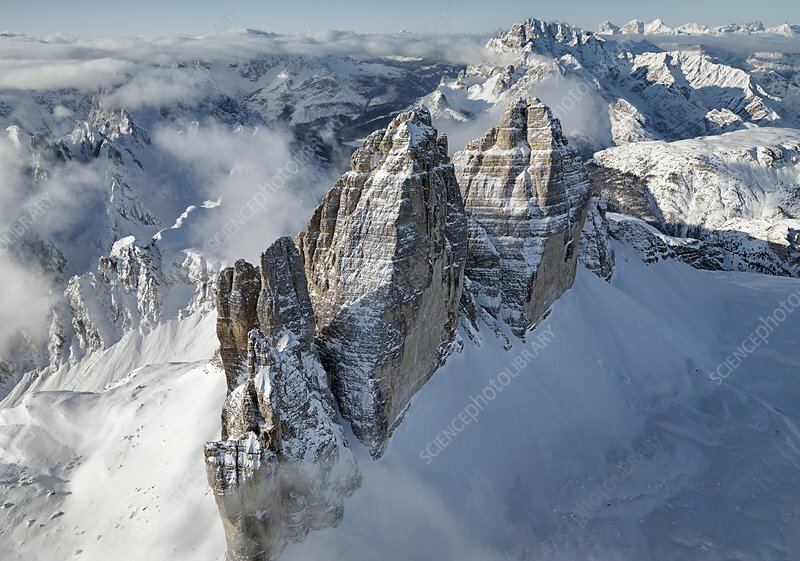 Aerial photograph of the Three Peaks of Lavaredo in the Dolomites, South Tyrol, Italy. They are composed of well-layered dolostones, of the hauptdolomit formation. The highest peak in the middle, called Cima Grande, has an altitude of 2999 metres above sea level.